Our trusted team is prepared to help you understand and conquer the complex field of financial reporting empowering you to make the best financial decisions. Alta CPA Group believes that accounting services should offer more than just speed and accuracy – accounting services should serve as your guide to making sound short and long term financial decisions. Our leadership team has over 50 years of experience working with organizations of all sizes and stages of development. For our clients, a tax return, an audit, or a financial report is just the beginning of a conversation about your plans for the future. 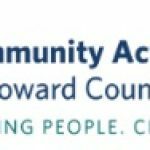 We appreciate the thoroughness and professionalism of your colleagues, headed by Jeff Griffith, in the advice and counsel received to ensure proper compliance with all relevant financial guidelines affecting our varied Partnership programs. We were offered a lot of insight in the communication and recommendation letters. These are very helpful to the executive team in planning/organizing the finance activities and internal controls—Once again thanks for your helpfulness and the valuable insight provided by the audit team throughout this process. Accounting firms with solid, knowledgeable non-profit experience can be hard to come by. We at the Annapolis Symphony have valued our years of work with Amanda Ragula. She and her team provide audited statements which are accurate, well-presented, and easy for our board—and our funders—to understand. She makes the auditing process manageable and valuable, but her eye is sharp and her advice crystal-clear. She provides a degree of customer care that can be hard for a small non-profit to find in an auditor. We value her advice about how to improve the way we keep our books, present our financials, and relate to our bookkeepers. She’s not just an auditor—she’s an advisor and a trusted business partner. In my thirty years in the non-profit world, I’ve never had such a productive and helpful relationship with an auditor. 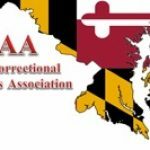 The Maryland Correctional Administrators Association has been a longstanding client of Alta CPA Group. Hands down their customer service and expertise are the best in the business! We so appreciate and value their availability to answer our questions (even on the weekends) and to ensure MCAA is compliance with accounting practices and tax laws! 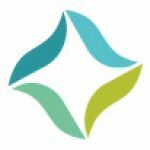 At a time of growth and transition in our nonprofit agency, we called upon Amanda Ragula of ALTA CPA Group, and were happy to have done so. I have worked with Amanda for more than 10 years as she has led the audit of our organization’s financial statements and has supported our growth from a $5mm agency to a $15mm one. I have often referred to Amanda as a walking talking encyclopedia of all things accounting! Amanda and her team have complete and thorough knowledge of the principles, theory and practice of accountancy. Their high degree of technical knowledge is complimented by integrity, belief in their mission, and their willingness to work hard to deliver quality products. Over the years, we have depended on their insightful guidance which time and time again has proven to be sage. I highly recommend the ALTA CPA Group. 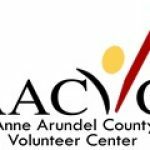 Alta CPA Group, and in particular, Todd Frankenfield, has been an extraordinary resource to the Anne Arundel County Volunteer Center. Todd volunteered his time as a Board Member and Treasurer and with his CPA expertise and the extraordinary resources of the Alta CPA Group, our relatively small non-profit was able to successfully manage our accounting, our financial projections, and our filings, which allowed our focus to be on our mission – to increase the capacity of our non-profit partners with volunteers. Many thanks to Alta CPA Group and to Todd.